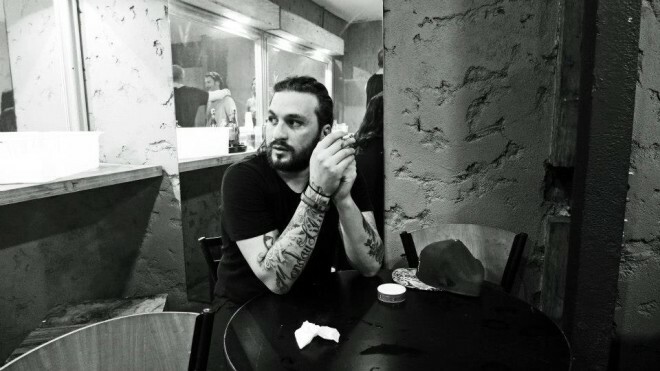 On Feb. 6, a cryptic video was posted to Steve Angello’s Youtube account. The video blends footage of crashing ocean waves, South Beach scenery, and a strobe-like snippet of Angello performing at an unnamed location. Today, Angello deciphered the message for fans when he announced on Twitter that pre-sale tickets for the event finally went on sale. 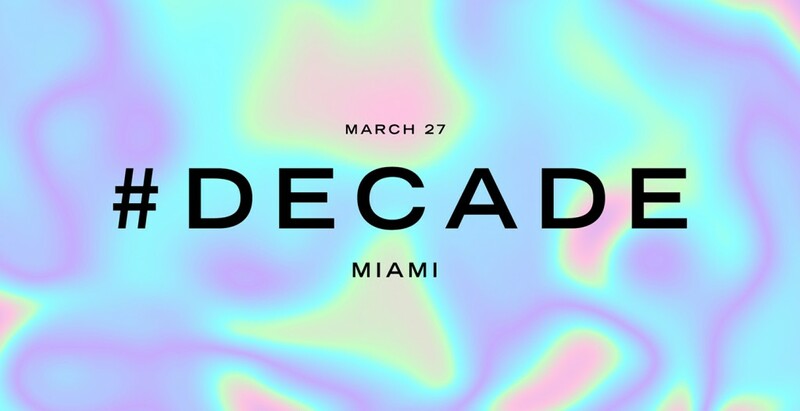 The event runs from 4pm-12am and pre-sale tickets for #DECADE can be purchased for $30 plus a $5.50 “service fee,” making it one of the most inexpensive MMW shows. This fan-friendly cover-charge comes during a time where headlining acts are in such high demand, they may charge anything they desire. In traditional Swedish House Mafia promotion-style, the event cannot be found upon a search on Wanttickets. Instead, users must go first to Citi Private Pass’s website and follow the #DECADE links. You eventually end up on a hidden Wanttickets page, which can be found (here). If you are a Twitter follower of Angello, you also could follow his tweeted links. 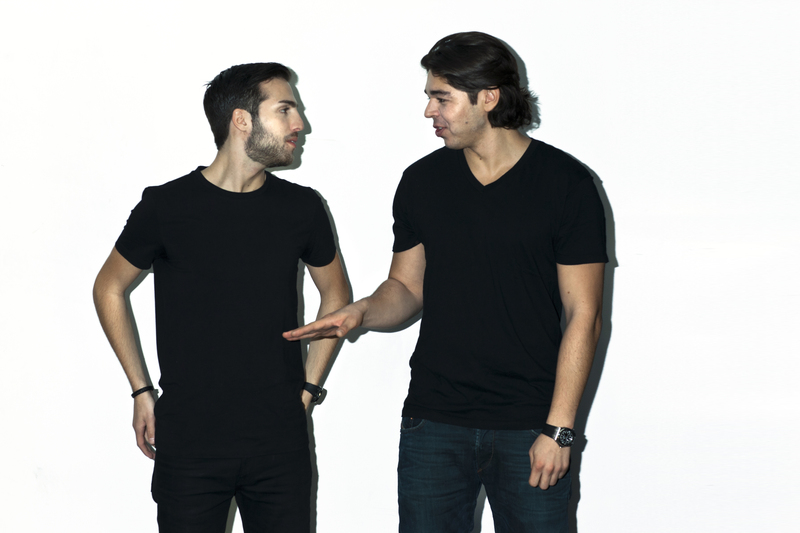 There is no lineup (other than Angello) as of yet, but since the event is a Size record-label celebration, label favorites Sunnery James and Ryan Marciano, An21 and Max Vangeli, Junior Sanchez, Third Party, Tim Mason, and Qulinez would be expected to perform. 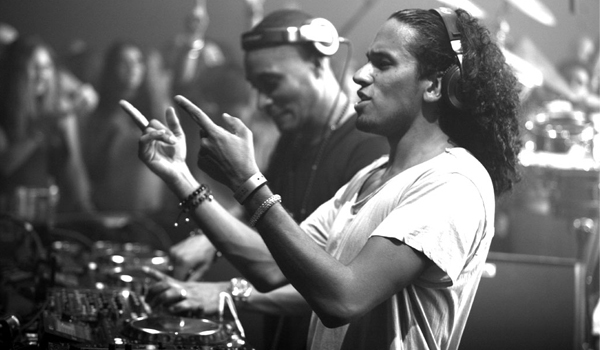 #DECADE will be straying away from the hustle and bustle that Miami Beach brings during MMW. 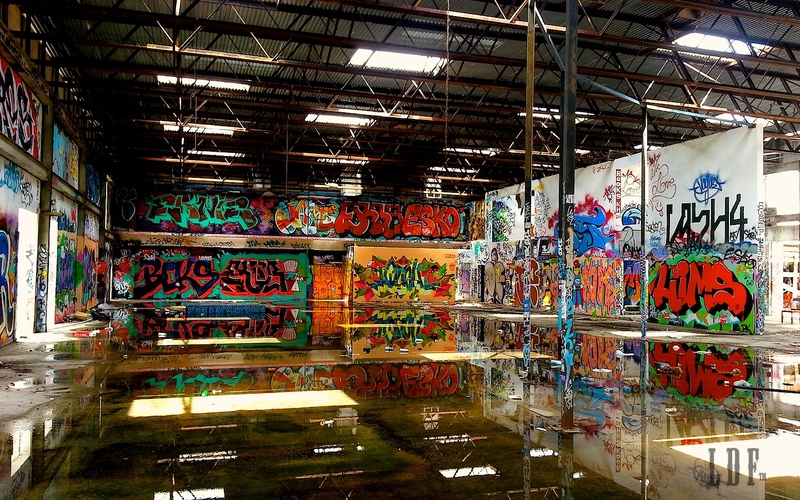 The event will be held at the abandoned RC Cola Plant which is listed at 550 NW 24th St in Wynnwood, Miami. Measuring roughly 47,000 sq. ft. and decorated with graffiti adorned walls, the mysterious venue promises to only add to the underground experience. The show is 18+ and though I was slightly disappointed this event would not be exclusively 21+, I like to keep an open mind. Also, since the event seems to be sponsored by Kannon Organic Vodka (referenced in the video above), drinking-age fans should expect a special experience apart from the typical general admission privileges. 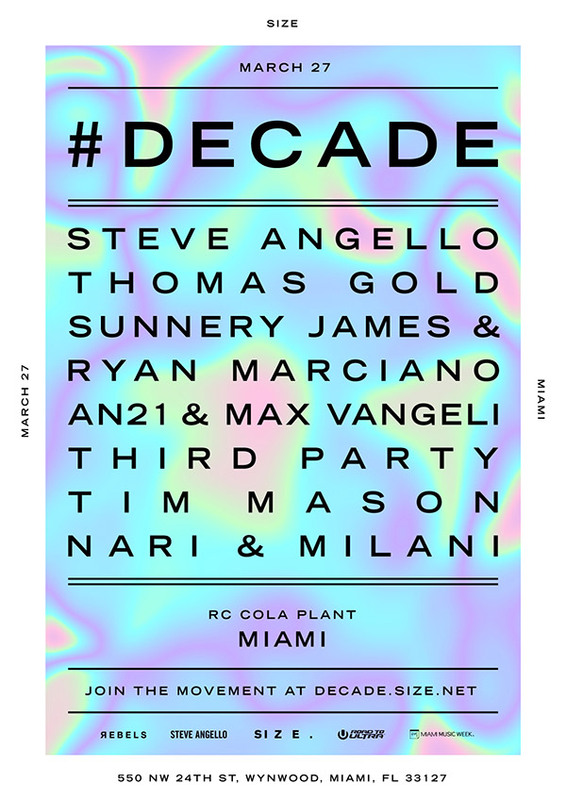 One thing is for sure, Miami is ready to party with Steve Angello and celebrate a #DECADE of Size. *UPDATE: 2/24/14 12:35pm – Lineup announced and general tickets have gone on sale (here).